Casa Wendy Comares is a traditional Andalusian holiday home. A country retreat for small families or 1 or 2 couples. At the bottom of this page you can find reviews of our guests. We advise to take the longest route (via Velez-Málaga). The short route will take you via Colmenar with very narrow streets. To make it easier for you, we have create a road description with pictures of the last 5 kilometers. 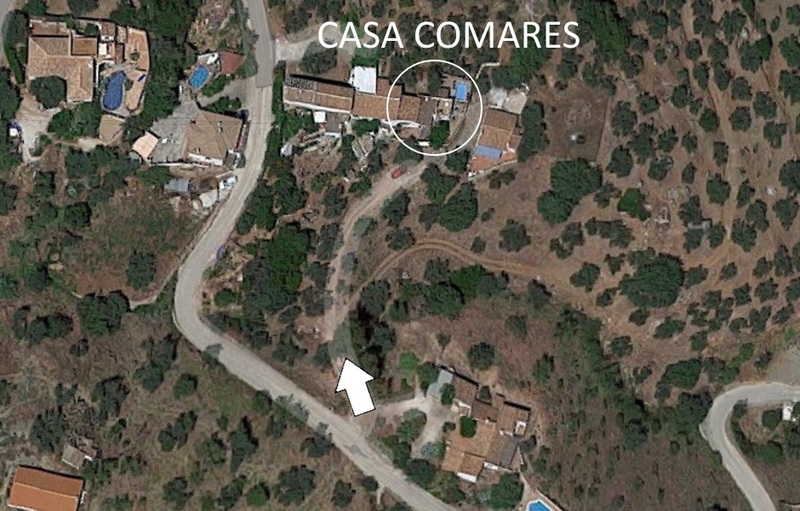 Casa Wendy Comares is hidden in the green and is located 80 meters from the main road. All the necessary modern comfort for a carefree holiday is present. 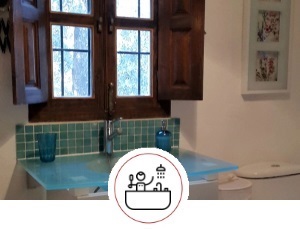 On this page you will find an overview of the facilities available in our holiday home in Comares. We have positive experiences with finding a rental car at www.allincarhire.com in terms of price, service and insurance. In mutual consultation other times can be agreed! Final cleaning, use of WIFI, gas, water, electricity, linen and towels are included in the rent. There is a maximum occupancy of 4 persons + baby. The holiday home is not wheelchair accessible. Kitchen with seating for 4 people and child's high chair. Master bedroom on the 1st floor: 1 large double bed + 1 baby bed. 2nd bedroom on the ground floor: 2 single beds. 1 Bathroom with toilet, bath, shower and hair dryer. Central heating and wood stove. Books, DVD player and games. Covered terrace in front of the house with table and chairs. Roof terrace with 2 loungers and table. Spacious terrace with 3 loungers and swimming pool. We had a great stay in your house. Beautiful discovery of Andalusia. Thank you for the fridge filled on arrival. We had a great time at Casa Wendy in Comares. A very pretty little house in a dream environment. We took good advantage. This is also a very beautiful region. Will come back! Had a really relaxing two weeks here at your holiday home. The cottage is perfect. Everything we needed and more. A perfect escape. Thanks! We spent three weeks in this delightful little house where nothing was missing. It is a perfect place to enjoy nature. A big thank you for your kindness and serious in your work. We loved your cottage. Thank you for these great holidays. This delightful cottage has everything you need for a holiday home. As we were arriving after dark it was great to have the outside lights on! The cottage on our arrival was spotless and is well maintained. A few minutes in the car takes you into the beautiful village of Comares and the nearest supermarket and restaurant. Nice house in a beautiful place. Well remote in many exciting mountain roads. 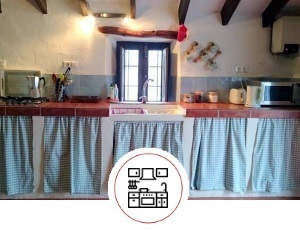 Casa Wendy is a very nice typical Spanish cottage which has everything you need and more. The views are absolutely stunning! We enjoyed drinking a cava on the roof terrace. And the swimming pool surrounded by olive trees is just big enough for cooling down. The casa is suated nicely so you can visit all the Spanish hot spots. We are definitely coming back! What a delightful cottage this is. All the home comforts in the sun. Had a fantastic time at Casa Wendy. Superbly equipped with everything you will need. Arrived in the small hours of the morning with 2 children. The owner left outside lights on for us and a lovely welcome pack of food and wine.... thank you, it really was appreciated after a long day of travelling. 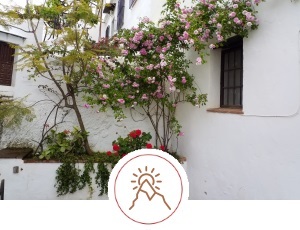 The cottage itself is tastefully decorated and has all the characteristics a real Andalucan home. Loved the place. Outside there is a very well installed pool, just the right size for soaking in to cool down from the warm sun and the kids loved splashing around in it. Rooftop terrace with breath-taking views which catches the sun all day while wiling on the hours was exactly why I booked. It didn't disappoint. Great communication from the original booking through to precise directions. Overall what a fantastic location, beautiful cottage, excellent facilities, well equipped..... Our girls had a great time (10 & 12yrs old). Would I go back here again or even recommend to friends you better believe it. Thank you, we all had a fantastic time and hope to stay again sometime soon. This villa is perfect and everything you need for a stress free holiday!very well equipped and spacious house with many terraces to take full advantage of the sun all day. 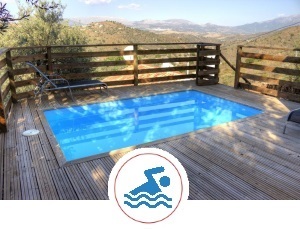 The pool is also an added bonus!the views are to die for lovely and remote enough that you have no need to worry about neighbours over looking you. Perfect location to relax and have a stress free holiday with the advantage of a super market and restaurants a short distance away if you do fancy venturing out. All in all a wonderful holiday and would defiantly consider a return visit! This is just what it says on the tin, a stone built cottage in an olive grove on the side of a mountain. A perfect situation to relax and get away from the stress of everyday life. We spent a week here in October 2015, pottering in the garden, reading on the patio and sunbathing on the roof terrace. Shops and restaurants are within 10 mins by car either in Ventoros or in the beautiful mountaintop village of Comares. 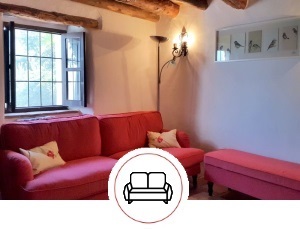 I'm delighted to write this review of Casa Wendy simply as it endorses what a great stay we have had in this charming cottage. 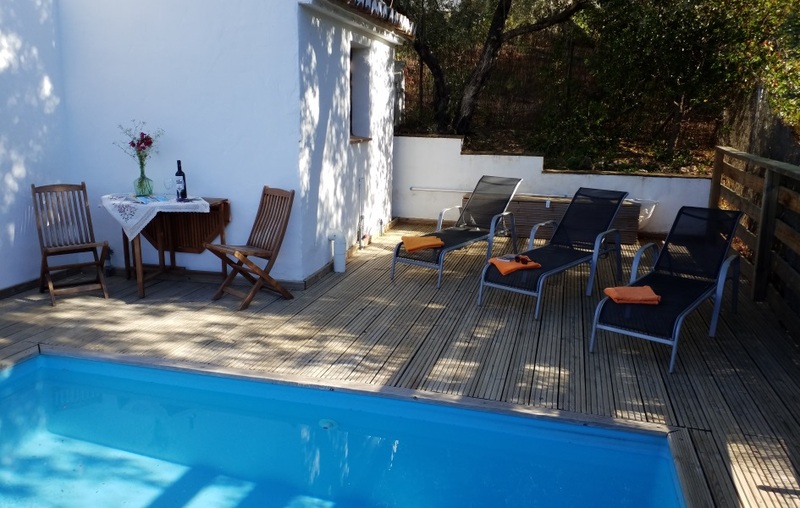 In a secluded and beautiful setting the cottage and its pool and terraces are stunning. Casa Wendy provides everything that could possibly compliment a peaceful, comfortable holiday even down to the immaculate bedding and softest towels. I cannot recommend this house more highly; my only reticence being if too many other lucky people discover this lovely property we won't be able to return for an already scheduled revisit! Our holiday home in Comares offers everything you want for a great family holiday in Andalucia.